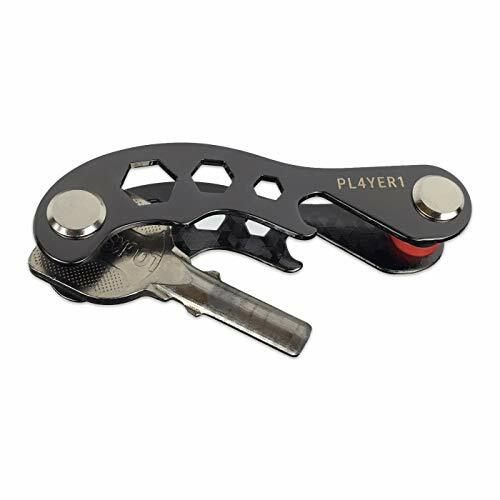 MULTI FUNCTION TOOLS; Well Shaped and Smooth Designed, light and compact Key Holder equipped with four practical features All in One tool. All you may need in your pockets. Our Compact Key Organizer is built with the highest quality material to the highest quality standard: Aluminum Zinc Alloy made Black.